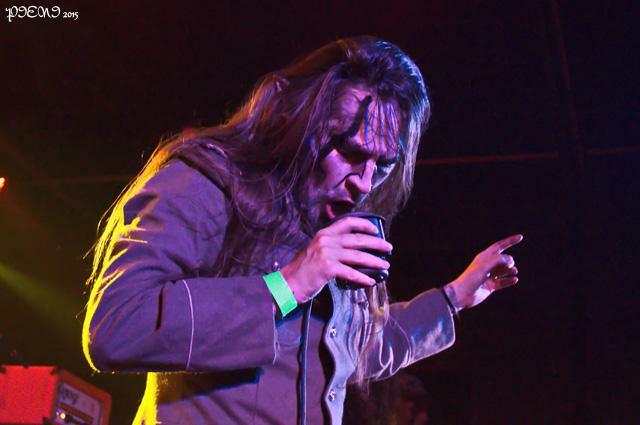 With “Nattfödd” celebrating its 10th anniversary last year, FINNTROLL embarked on an intense European tour where they’ve been playing the album in full. The second leg of the tour included an one-off show in Portugal that was almost a no-show – there were some problems during the trip between Madrid and Porto (“you wouldn’t believe it if I told you”were Vreth’s words), but they made it, about forty minutes later. And since half of the gigs in my country run late, we didn’t even realize how serious the situation was. I believe it was after “Jaktens Tid” that they left the stage and the damn frogs echoed again until Finntroll returned for the encore. But by this time I was too pleased to be bothered by the croaking – these trolls don’t belong in the forest but definitely on stage. This entry was posted in Concerts and tagged 10th anniversary, black metal, Finntroll, folk, Nattfödd, Porto, SWR Inc. Bookmark the permalink.